Sharks have been biting people for ages despite the fact that all over the world people love to go out in the sea and the fact that you might end up being part of the sharks diets is just unusual to all those who have made countless journeys to and from the beach for decades. But for the unlucky few, sharks have been the most feared animals or creatures in the world and whether it’s a big shark, a black and white shark or a small shark so long as it’s a shark or a big fish, these dangerous sharks are and can be as deadly as their razor sharp teeth is a living proof in many shark attacks videos, nasty shark wounds and many pictures of sharks attacking people. Swimmers, surfers, fishermen and even other deep sea creatures have been part of the shark attacks victims in many parts of the world. Guess what, most recreational groups and the people that are mostly attacked by the great white sharks are surfers, with bathers or swimmers as second. Why are suffers mostly victims of these world’s to dangerous animals? The simple fact about sharks is that surfers normally splash a lot in surf conditions which makes it easier even for the great white sharks jumping out of water to mistake their identity from other predators or prey. Surfers also on the other hand mostly spend the greatest proportion of time in the water waiting for the perfect wave which could also come with the perfect human killing shark as well. Since 1980 over 300 surfers worldwide have been mauled by sharks despite the fact that most surfers are aware of the different shark face profile and know what to do during dangerous shark encounters or in a shark hostile environment. The great white sharks (Carcharodon carcharias), Tiger sharks (Galeocerdo cuvier) and the bull shark (Carcharhinus leucas) have always ruled the world and are the masters of the oceans. They are the most dangerous sharks in the world and despite all efforts of man making little contact with these deadly sharks a lot more is still not yet known about these dangerous sharks as to why they attack and what it really means to them when they attack. 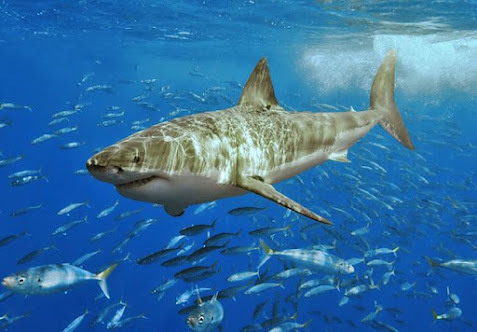 As some of the fastest animals in the water, sharks and specially the great white sharks have been known to swim to the deepest ends and at the same time these deadly great whites have also been known to follow their victims just a few feet away on the beautiful beaches to unsuspecting swimmers and surfers all over the world. 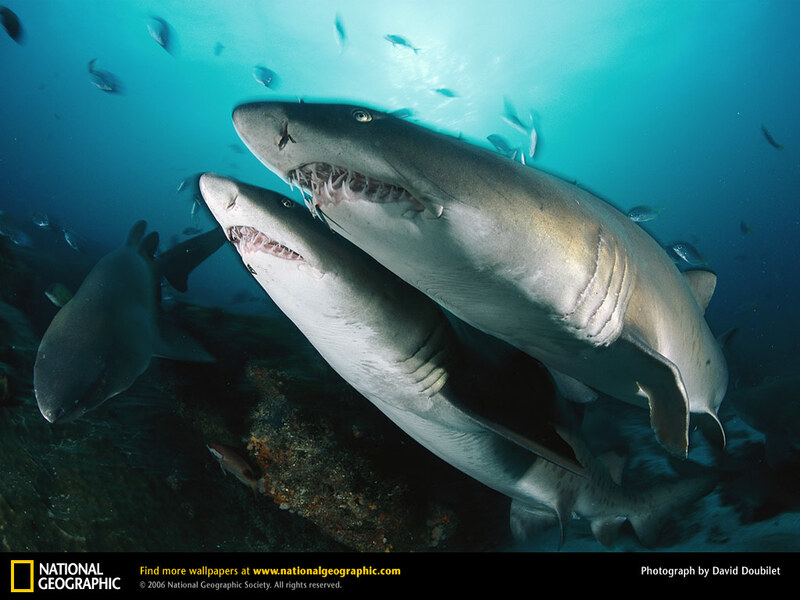 With different ocean currents and changing weather conditions some of the sharks find themselves in areas where the oceans meets the rivers of many parts and these mucky waters of our beautiful beaches harbor these dangerous sharks. Take for example why do many people hate pit bulls or why do people have a bad feeling that pit bulls are very dangerous dogs? Do you blame the dog for its natural character and animal instincts or the owner who needs to be in full control of the animals just from the time of birth? Well a pit bull will run to any one who it suspects to be a threat and at the same time maul the victim until there is warning to stop. As far as the great white sharks are concerned, how do you tell that a shark is going to attack you while you are busy having a lifetime of pleasure in the water? Sharks as animals which don’t have hand use their mouth to bit and see if you are a threat or you are fit to be part of the shark’s diet and there goes the whistle. In many parts of the world dangerous shark attacks injuries have been known to take place. Whether they are shark sightings Florida, shark attacks in Puerto Rico or shark sighting New Jersey some of these dangerous shark attacks injuries are sometimes linked to provoked shark attacks or just unprovoked shark attacks incidences. By the way, why do sharks really attack human beings wile there is always a lot of big fish to feed on in the sea? 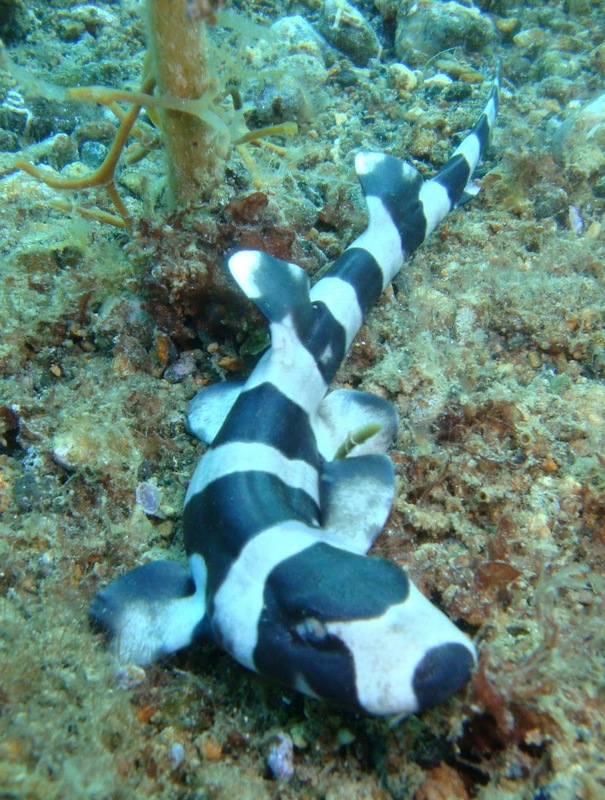 Because of the animal instincts and animal protection mechanism, sharks always get interested with what they come across while they are in their territory and at the same time when they are not in their natural habitat as well. Any kind of shark in the ocean and as an animal will protect its feeding grounds and when they keep on exploring new grounds, people come into contact with sharks and that’s where the story begins and shark attacks news start to make the headlines. Sharks as a source of first class protein whether salted in Africa or sun dried in the south American region, fried or boiled in the Asia Pacific territories, the different shark species big or small just like any other edible fish have been fished or hunted down for ages as a sport trophy, food, medicinal purposes and as a delicacy in many parts of the world. 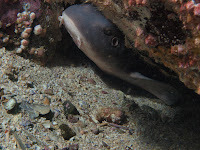 It’s with these encounters when many sharks species get discovered and a lot of information about sharks emerges and the fact that not all sharks are bad sharks is still something people have to digest. If trained dolphins which are raised in captivity not forgetting a few whales which are kept in aquariums for people to learn from them go haywire yet these are know to be very harmless sea creatures its always difficult to convince people that sharks are really not dangerous animals unless they are provoked or they smell blood which can attract them from miles away and hence the ever ending shark attack incidences allover the world. Despite the fact that in any part of the beaches when the great white sharks really attack, sometimes people just fall victims of circumstances as may of the deadly sharks are attracted by any activities around the beach and within the shark natural habitat as well. While lone swimmers are very prone to shark attacks other people just don’t get it when they see clear warning sings about shark sightings and shark incidents and not to swim but all this information about the dangers of sharks fall on deaf ears. Most of the time many shark attack incidents or shark bites as painful and as devastating as they are, you find that the are just a warning and is something which still needs to be very well understood by many people who flock the beautiful beaches and whose who have not had the slightest chance to see a shark attack in action the ordeal and the effects it brings not only to the victim but to the society as a whole as they have no idea of what to expect during an encounter with a shark while swimming, fishing, scuba diving, surfing, fishing or just on the beach relaxing. To some extend many people become very lucky and you see very beautiful pictures of people shimming or surfing with sharks. What is the real reason behind it.? The fact of the matter is that not all sharks are dangerous as compared to the great white sharks the black tip sharks or the tiger sharks which are the most dangerous sharks in the world are responsible for the deaths of hundreds of people and most of the fatalities or shark attack incidences taking place in the United states beautiful beaches. Asia, Australia, Europe, Africa and the Americas have had different shark attacks incidences and other shark related news regarding the indigenous local shark species found in that region. Should people really be afraid when they go swimming or should they just be aware to keep an eye of any sudden movements while they are in the water? Is it a natural phenomenon to have shark attacks and shark accidents? Or has it got anything to do with our internal fear that people have about sharks when they are in the water which might somehow contribute to these shark attacks and shark related accidents? How about this fact about sharks. “sharks don’t really attack they just bite.” That would just sound weird as one of the weirdest facts about sharks. What are the yardsticks for knowing this shark attack incident was just an attempt to find out what it is to test the human flesh or how it feels when a human encounters a shark. For a human body which is almost half the size of a shark how would you feel when a shark grabs you by leg or part of your hip and tries to escape with it? You definitely wouldn’t call that a shark bite an accident but a really shark attack incident with all the intention to kill. What do you think are the other reason why many people get attacked or bitten by sharks and live a story to tell? Jokes aside do these shark accidents happen by accidents or there are underlying reasons behind it? Do people ignore the shark warning sighs whenever there are shark sightings and people are told not to swim but the daring ones also lure others and the shark attacks chain of events unfolds? How about this just like in the African jungles, the lion will chase the wildebeest alone and when its time to settle and feast on the lions share, here comes a pack of hyenas which chases the lion away despite being the king of the jungle and just there after the jackals and the African long distant vulture will storm in to finish what was alive and breathing in a couple of hours. Well as you might see, this is what nature portrays and as far as these deadly sea incidences are concerned, the shark being in the right spot and you being at the wrong time at the wrong place to catalyze all the conditions which will contribute to a shark attack. You have all seen it all in the amazing African animal safari videos in the African Savannah where these beautiful dangerous big cats roam and rule the animal world. The lions, the elephants and the great apes have all played their part in the food web and according to our beautiful great white shark; this deep sea creature just like the king of the jungle which can be tamed and majestically walk hand in hand across the streets is just one of the beautiful animals you can ever think of if you have a connection with sharks. Warning! This does not give you a ticket and start looking for these endangered animals already for you to be buddies. Wild animals whether big or small are to be left in the wild where they can live their lives to the fullest. With all the research done about sharks and their diet, there is little known evidence that people are really part of the shark’s diet. Does that mean that our flesh is not delicious according to sharks? But have you ever thought if the great hammerhead shark or a dangerous shark finds you in the water while you are swimming, fishing or just scuba diving will let you go without wanting to poke you with its nose or its head and see how you react? It’s a well know fact about sharks that with the absence of hands to hold and grab things sharks, while exploring things in their natural habitat like to munch and have a test of what is there to eat in its surroundings so the nest time a shark gauges your upper limb just know its part of the shark scientific research it is conducting and hopefully “a commission by the sharks will be formed to explore its findings in the near distant future.” If a cheetah can ear monkeys, monitor lizards, frogs and even grass at times what not a shark which might also want to increase its area of diet as well! A dangerous shark will want to bite any thing in its natural habitat that comes on way if the shark feels food. Surprisingly the strength in which the great white shark bites or digs in depends on the person being bitten or the object being bitten whether its a surfer on the surf board, a tourist on the way down a river with a raft or some beautiful people spending time in their yacht dangling their feet in the clear waters with little knowledge of what actually lies beneath these beautiful clear waters of the Caribbean or miles away from the Sydney coast and not being aware of any recent great white shark encounters in the region. Remember it’s a shark world out there whether in the mucky waters or clear waters, the jaws of shark and its razor sharp teeth on sight are not golden moments to make a shark movie out of it if caution and the knowledge of the shark you are dealing with is defiantly known to to the people around it. This is because the faintest shark scratch can puncture your main blood vessels in your body and make you bleed to death. On the other hand this will invite other marine predators lingering around and even bring many other dangerous sharks to come as a result blood which is one common fact that sharks are attracted to. Whether it’s a slight shark bite, or just a small touch of the shark’s nose which happens to come into contact with a human being while swimming can actually cause great harm to the person in the water. In the Unites states and Australia you find that a number of lone surfers have ended up being alive after being mistake by different shark species as their food and amazingly their surf boards come out with visible sharp shark teeth marks showing actually how deadly these sharks can be at times when we are out there at sea. If people call it fate of being spared by the great white sharks or the fact that these deep sea creatures like exploring things and you just happen to be one of them then you still have many more lives to share with these beautiful sharks as well. The surf board being mistaken as potential food for the shark is just one of the many good reasons why we have these dangerous shark bites and dangerous shark accidents in the water. But the much is known about the different sharks species behavior always determines the different shark attacks encounters within a geographical area or the sharks natural habitat and on its migration routs. 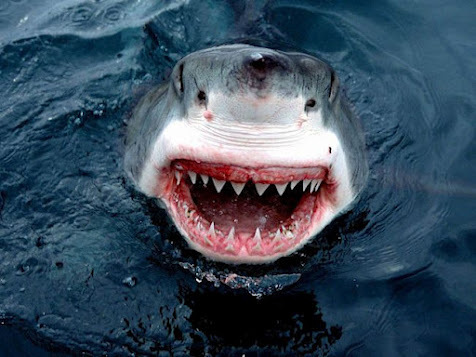 Do many people have all the necessary information about sharks in the new age of technology? 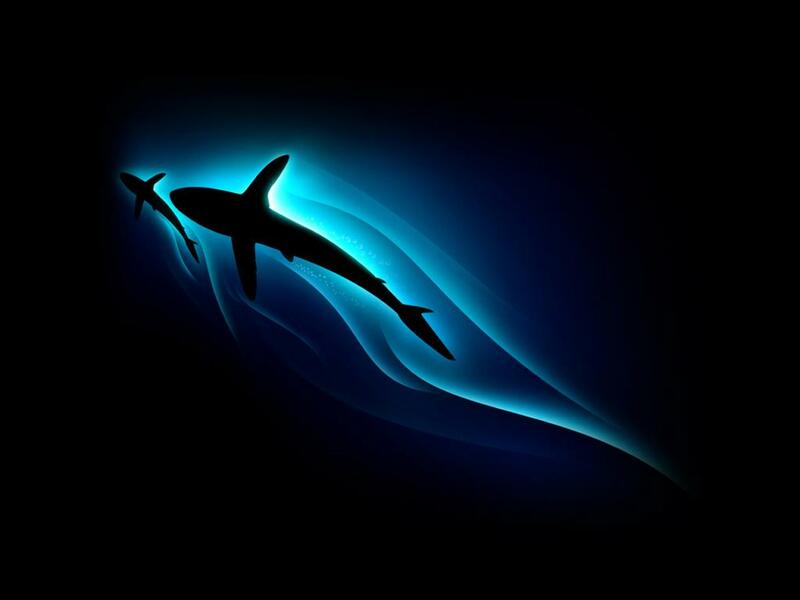 Well there might be very good shark wallpapers and amazing shark videos as well but do people really look closely to really see these sharks as aggressive sea creatures or as marine animals they can relate with? How much information about sharks do people have? As far as the general masses is concerned, with all the media and for the sake of the peace of the society different parts of the world have always reacted differently as far as shark attacks and shark incidences are concerned while in some cases the great white sharks been given more negative coverage in order not to make people panic and to disturb the peace and harmony of the society while on the other hand as compared to the millions of tons of sharks being harvested from the different seas of the world in an humane way. Fishermen who lure sharks so that they can be able to catch them using rotten blood and other mixtures of shark food find themselves victims in such dangerous shark environment. While going overboard is one thing, these dangerous sharks always take this advantage and this is just one way that sharks come into contact with people and as the person struggles for help, this actually triggers the shark mistaking it to be a fish in distress and there by getting bitten by a shark. People just need to know and have all the information about sharks, the education and all the shark communication to be passed on where there are in order to recognize and avoid potentially dangerous shark attacks situations in our beautiful beaches and oceans. Survival in the ocean is the key to many of the greatest marine life big or small. With better feeding and breeding grounds the chances of making it in the deep waters is very crucial. Keeping that in mind you find that the most common shark attacks accidents are to some extent motivated by territorial behavior or a displacement mainly when a shark feels somehow threatened or due to the fact that sharks react depending on their environment whether it is a very hostile environment or natural habitat where the shark just needs to fend off the intruders or or predators lingering in its habitat and all the conditions being aggravated by the different water conditions such as (murky water), make it difficult to see if you are also in the same habitat and the shark is there which in fact may cause the sharks to be aggressive and either fight back or be afraid and just swim away. Always remember that there are dangerous creatures in the sea ranging from dangerous jellyfish to dangerous sharp coral reefs out there and you defiantly should be on the lookout before you enter any beaches that might be invested with sharks, jellyfish or other potential dangerous wild animals or reptiles such as ea snakes as well. When you are on the beach, try to find if there are any signs of sharks posted on the coast so that you can be fully aware of any shark incidences that you might come across. If you have a chance walk to the lifeguard tower and ask anything about shark sightings that are common or are prone to attack or have been observed so as to have a clear head of the waters you are getting involves with. Main principles and ways in which sharks attacks. 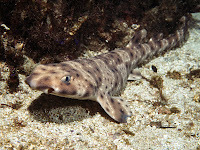 Dangerous Shark Attacks Bumps and Bites: stealth and evading being detected is one animal instinct which many animals mostly rely on. As far as dangerous shark species are concerned hunger is always the motivation to bump and to bite the victim. As a matter of fact, with luck of food after finding oneself in the water where there is little or no food such a shark usually pays a closer look or what is going on by surveying the prey within striking distance in decreasing circles. The shark then initiates its move by bumping its prey in order to ascertain if it is edible or not. What goes around always comes around. Just as a cheetah plays with a dear just before it decides to eat it, sharks on the other hand waste no time if they find thee is a meal for the day just lingering around. 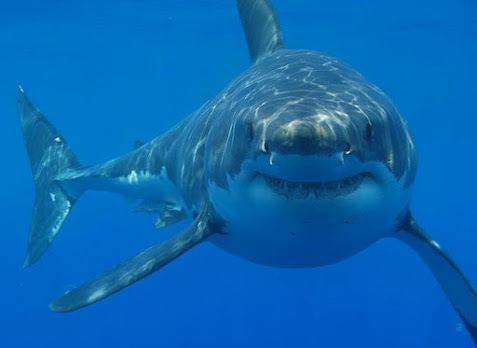 In most cases just after the shark bumps you for the first time remember the second time a shark comes to you it will not give you another warning but it will be the onset of a deadly bite. Such kinds of dangerous shark attacks are scary and break the most important rule when you are being attacked by a shark. The moment you panic, this induces the shark to even make a move even if it was not interested with and mind you when the shark makes its second move or third move, you might just become history. Dangerous Sudden Shark Strike: whether you are in the car or you are walking, driving or even loitering around you are always told look where you are going so that you don’t cause harm to your self and to others who are also using the road. As far as the oceans are concerned, I guess the great white sharks don’t have to be blamed for not looking where they are going as they are the true masters of the sea. Since most dangerous shark attacks occur less than 100 feet from the shore you should always look above and below the water while you are swimming once in a while as this might just mean a matter of life and death just in case there are any sharks and specially the great white sharks which will just strike without warning even at shallow waters and with plenty of people swimming around. When the great white sharks strike with such sudden force, when they come for the second time to attack, unless you swim for your life back to the beach and cry for help, you life under the prevailing shark environment, the chances might just be very slim of surviving another sudden strike. Always Don't go alone swimming- these beautiful dangerous great white shark species like to attack lone swimmers due to the fact that sharks have a very perfect hearing sense and can detect if there is a person swimming alone and giving it the courage that it will not be deterred by what ever is going on in the water. This shark hearing quality gives the shark an upper hand that it can easily detect you even before you realize and there for attack you with ease. Lions, leopards, the African wild dogs all like to attack solitary animals, the weak and the infirm. The great white sharks like any other predator follow the same hunting mechanism. Always be on the lookout for anything which you might suspect to be dangerous. Remember it’s a gut feeling and your human instincts which can make a difference. The more people you are the less likely that a great white shark will come and attack you but you just never know when another shark might just come by if the first one has been scared away. Swimming deep doesn't make you a hero. Don't go in deep – some dangerous shark attacks take place in shallow water but trying to go in deep makes you more vulnerable to any kind of dangerous shark encounter which might be around the steep cliffs deep in the ocean where sharks tend to find their food. Even if you are in danger it is not easy for help to come in handy and your chances of swimming as fast as possible always diminish if the sharks are coming for the second attack or when you panic and you become a victim of circumstances. 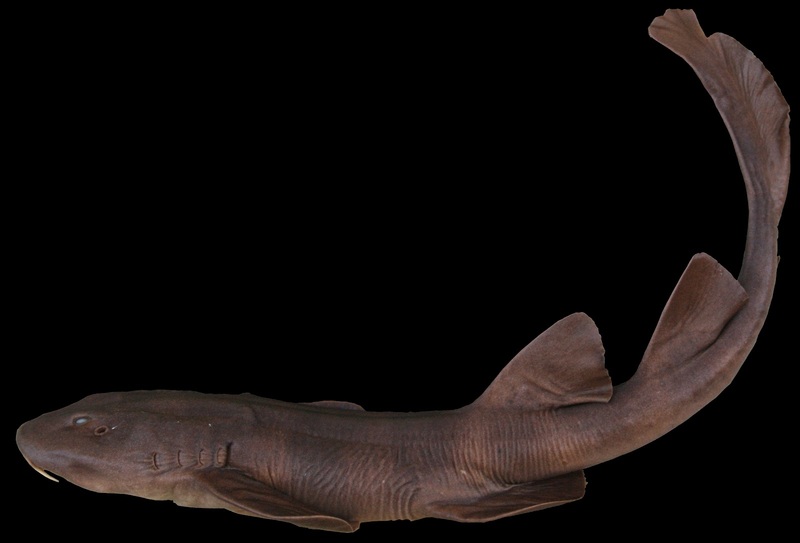 Sharks like murky waters Don't swim or surf in murky water – Sharks don’t see very clearly in murky waters. Sometimes sharks can mistake you for its prey or a dangerous predator. While fighting for territory and exploring the new habitat for the shark, this might seem normal, those found in the midst of a great white shark encounter in the murky waters end up being attacked as visibility is always not good. At any particular time when all odds are against you, you just need to be prepared for any shark presence so that you can be able to respond effectively without a panic. Swimming at dawn/dusk/night is dangerous – sharks like to hunt at night just like any other deep sea creatures as well. Its not just the great white sharks, great hammerhead shark or the tiger sharks that like to come closer the beach to look for food but most of the different shark species come closer to shore to feast on what is available with all the millions of stars and the bright moonlight giving you all the glamour, swimming at this time of day is just a good invitation for these dangerous sharks as they have an upper hand as far as visibility is concerned. 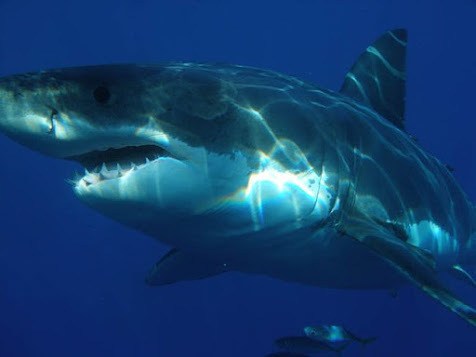 Great white sharks love blood No swimming if there's blood oozing out – sharks have very good sense of smell and the smell of blood even attracts all kinds of sharks which might be very far away. It won’t be a nice idea all of a sudden to be surrounded by sharks and not knowing what to do. Open wounds re just another catalyst for shark invitation. 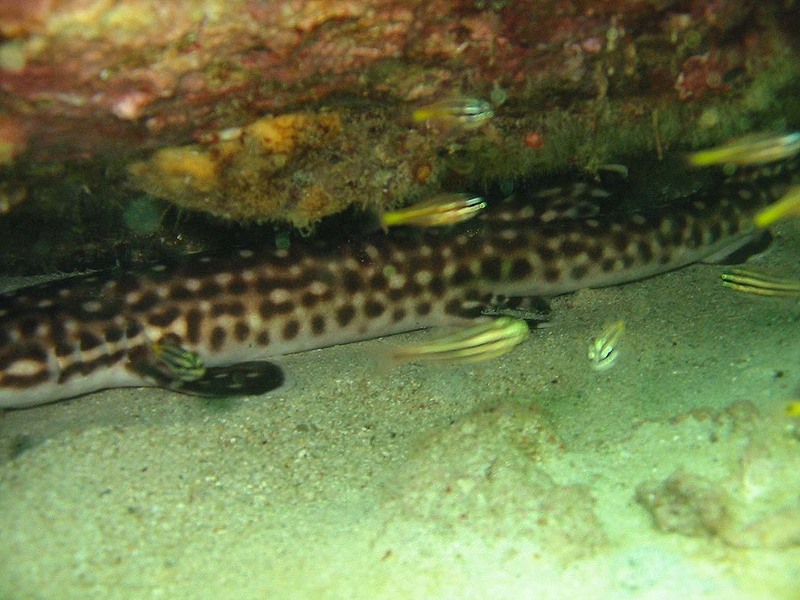 While many people thing that the salt water helps wounds to heal quickly, you might just be inviting bigger and brighter wounds when you happen to be bitten by a shark. Ladies who are on their monthly cycles should not go in the water as this might as well attract sharks if they are in a area where there is some fishing activity. This is because sharks can smell the slightest drop of blood from miles. Don't wear jewelry – why should your expensive make you end up to be one of the great white shark attack victims? Sharks are always attracted to shiny objects just as they are attracted to any shining fish which is out there, wearing jewelry and getting in the shark infested waters is just one easy way of inviting trouble to you in any shark habitat. Sharks mostly rely on vibrations or electrical signals in the water as they do not have a very good vision but they are very excellent in picking up on contrasting tones of dark and light very clearly and anything which is shinny on your body will attract any shark which might be nearby. For all those who like to wear “bling “while swimming, you might one day end up with all your expensive jewelry in the stomach of the shark. Highly contrasting swim suits or wetsuits – what do they call a zebra? An animal with white stripes or an animal with black stripes? How about a tiger, is it an animal with black stripes or an animal with golden stripes? Such combination of colors depending on your swim suit can just be a cause for any fatal shark attack incident. The swim suit might be as good as your figure fits in it and the money put in it can as well be worth it but when it comes to taking a risk in the ocean of sharks, you might just be the first one to be eaten alive by any hungry shark and not even with a second chance. 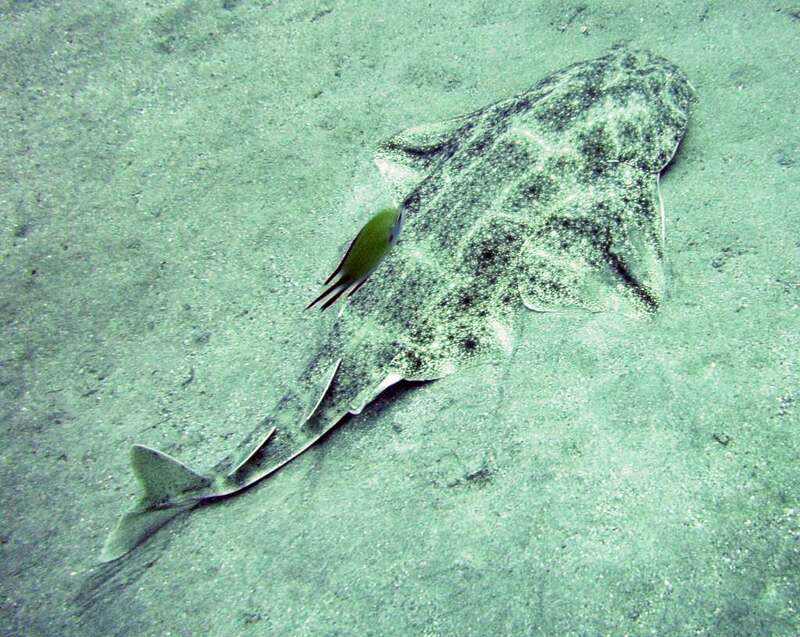 Why should you be mistaken as a fish given the facts that sharks already have poor eyesight and rely on their poor vision which might as well be deceiving without them knowing? The next time you venture in the departmental store just remember a good swim suit which will keep the sharks away. – when you encounter any great white shark please don’t panic. You should not startle the shark at any cost. Leave the shark infested water as quietly and as quickly as you can and, or if possible stay as still as you can and vertical as a seal does and this might just save your life. Don't swim where others have been attacked – get all the facts about the latest great white shark sightings in the area where you want to swim. 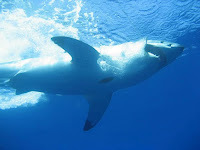 Search the web for the last shark sightings history as well and don’t forget to follow the current news about sharks just in case there are any shark attacks incidents which have been reported regarding the place where you want to go for a swim. If there are no latest shark attacks incidences then there is no cause for alarm for you not to have a good time but always remember, it’s a shark world under the beautiful clear and murky waters. If a shark has attacked a person in any beach, just keep it in mind that that shark will always come back just like an elephant which doesn’t forget its favorite juicy fruit when it discovers one when they are in the jungle, it will always come back to the exact spot looking for it once again. Beaches around Cape Town remained on full alert today after a great white shark the size of 'a dinosaur' attacked and killed a tourist leaving ‘a pool of blood in the water’. Eyewitnesses said the shark flipped in the air as it sunk its teeth into Lloyd Skinner, a 37-year-old Zimbabwean who lived in Mozambique, who was swimming 100metres offshore while his wife relaxed on the beach. Rescue workers said the shark attacked Mr Skinner three times off Fish Hoek beach. Onlooker Gregg Coppen posted on Twitter: 'Holy s***. We just saw a gigantic shark eat what looked like a person in front of our house. Another onlooker, Kathey Geldenbuys, said she saw 'what looked like a five metre [long] shark rising from the water and biting Mr Skinner. False Bay, in which Fish Hoek is located, has one of the highest densities of great white sharks in the world. Lifeguards shouted warnings to other swimmers in the sea to get ashore immediately. His wife, who was sunbathing at the time, was being given counselling following the deadly attack. Ian Klopper from the National Sea Rescue Institute, said: 'I would be amazed if we found anything now. The shark attacked him three times. One lifeguard told the Cape Argus newspaper: 'I saw the fin. I stood up and saw it do a 360 and then it spun around. It took the guy under. 'The shark’s tail came out of the water. It was a big animal. I was shouting "Shark, shark." These bathers were about 15metres away and not seeing what was happening. The coastline is also home to the world’s only shark spotting networks - men and women who are located on mountains armed with binoculars and walkie-talkies to alert lifeguards on the beach. However on Wednesday the water in Fish Hoek was said to be murky, hampering the shark spotters’ effectiveness. Swimmers were warned about this by a raised black flag. The unique service was set-up five years ago after local teen J.P. Andrews was attacked by a great white shark while surfing off nearby Muizenberg beach. Doctors pronounced him dead on the beach - but he survived, although he lost his right leg. 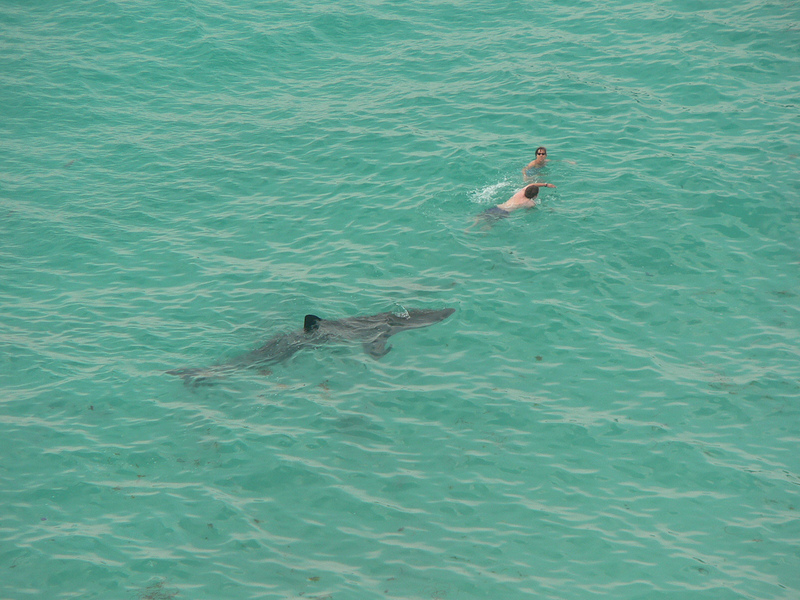 For Swimmers and surfers - if the great white shark is circling you it may be just curious and checking its territory but if it continues circling and seems hungry try to look the opposite. Never splash the water you are in but get out of the water or just stay as vertical as you can. Whether the shark will come and sniff you out like a dog while you are in there who knows. Another protective measure against a dangerous shark encounter or a shark bite is to join hands with another person. The bigger your profile is the easier to deter the shark is for it not to make a move. Strange but true, the Japanese pearl divers used to take off their loincloth and trail it in the water which was one way preventing sharks to attack them. Swimmers and surfers –Despite the fact that the Broad nose seven gill shark Notorynchus_cepedianus, great hammerhead shark, the great white sharks (Carcharodon carcharias), Tiger sharks (Galeocerdo cuvier), the Mako sharks and the bull shark (Carcharhinus leucas sharks are some of the biggest dangerous fish in the deep sea they are known to move with great speed and to see them sometimes becomes difficult due to the prevailing weather conditions and the mood which you might be in. If you are careful you might feel some sudden movements in the water which could be a shark. Always check out your surroundings both the surface and below for any figures, shadow or images which might look or resemble a shark. If punching a crocodile on the nose is the best way of getting away from these deadly reptiles, punching and kicking the shark on the sensitive nose and the eyes will save your life as well. 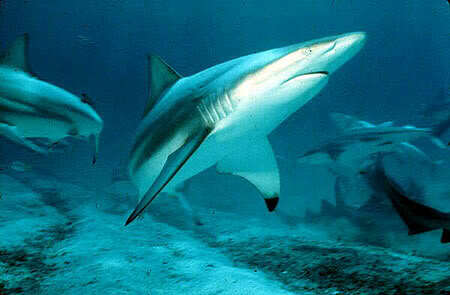 Some surfers at a competition in Florida 2001 were attacked repeatedly by several sharks. They literally punched and kicked the menacing fish away from their boards because they wanted to get on with the competition. Some lacerations resulted but all the surfers lived to tell the tale. A British surfer was attacked by a Great White in South Africa in 2005. It grabbed his leg and dragged him along, however he punched and kicked the shark and lived to tell the tale on national television! If a repeated shark encounter is to take place, be prepared and fight the shark with all the might you can think of and keep on concentrating on hitting the shark on the nose and eyes when it comes along. If you have a chance and you are near the beach, just shout for help. Scream “Shark! Shark! Shark!” so that you can warn your fellow swimmers and for a chance for the lifeguard to come and rescue you and also warn others of the shark sighting and shark incident. 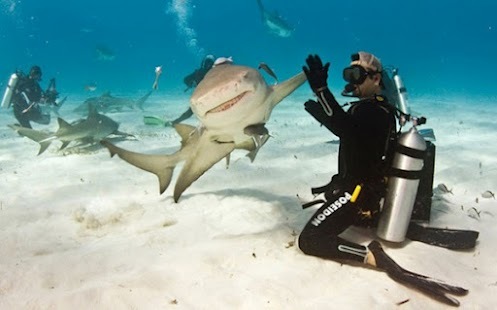 The most important rule about sharks or when you being attacked by a shark is that when you are in trouble deep in the shark infested waters, the sign that you need to give or to show that are in trouble or grave danger is only one arm raised high. Be warned. Please do not dare to wave with one arm as this will just communicate a different signal and your chances of the immediate help which you needed just diminishes as you may just be et greeted back by the on lookers who are nearby. As far as the great white sharks are concerned and you desperately require to be helped from a shark sighting without a panic and want to wave as a sign for help, use both arms to wave. On the other hand if you know the international diver’s shark sign of finger tips together just like a dorsal fin of a shark, use it. For all the deep sea divers you have an advantage as while using your flippers, you have a slim chance of attracting sharks and other dangerous sea creatures. The next time you friend asks you to go swimming without him or her knowing how to use flippers just be prepared for the number of sharks that you might just be attracting. People all over the world have gone miles putting their lives in danger for the sake of others. Is it just something for the blue? It’s a human or an animal instinct so the nest time you see in need of help while in the water which might as well be a threat of a shark, there should be nothing to think about. Just go and help. When the attacking shark senses that there is movement in the water other than the one which had been zeroed in will just get distracted and head for the dipper waters. For example if a calf of the cape buffalo is attacked by the king of the jungle, its very rare of the mother buffalo to come for the rescue so why not help someone who is being attacked by a shark as the shark does not expect people to be rushing in, in the light of such event. Scuba divers – as good swimmers as you can be, there are at times when the day just isn’t as you might have planned. When you are busy filming the next endangered marine life documentary in the Galopicus Island or in the beautiful corals beaches of Mauritius you might be surprised to have dangerous intruders such as the great white sharks as well. If coward people are the only people who stab people at the back, the world’s most dangerous sharks follow the same fate. This is a fun fact that sharks prefer to attack things of people that are not looking at them. So if you encounter a shark, stay calm and always maintain eye contact by looking at the shark in the eye. 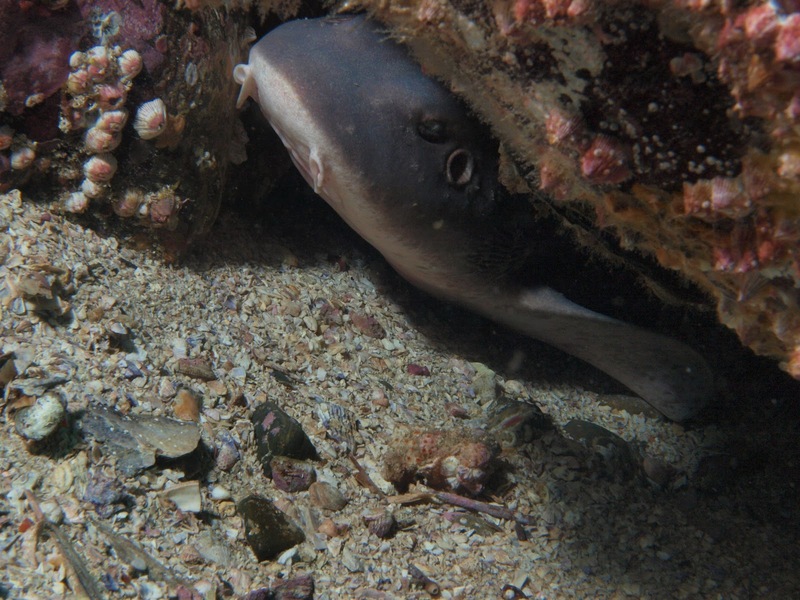 And remember these dangerous sharks prefer to attack from the side or from below so if there is any way you can find protection from any stones or rocks that will just buy you time for any other extra move that the shark might be planning for. If the worst comes to the worst and is a do or die situation, you might just be lucky and unlucky for the shark to have missed you with inches. The moment you see a great white shark moving around you in circles and moving in closer to you every time, you might be suppressed that the shark might even dare to brush you. As a rule of thumb about sharks always be prepared for a shark attack or as hark encounter. If you find the shark making the second attempt with any signs of twitching and jerking and heading straight to you, use the hedgehog animal instincts when it is under attack and curl yourself into a small ball. When the great white shark is closer quickly stretch yourself and look bigger with hands and legs spread apart to the fullest as this old age trick which animals like the beautiful peacock uses it to by spreading its beautiful feathers far and wide to disguise itself as a very big animal which its predators. 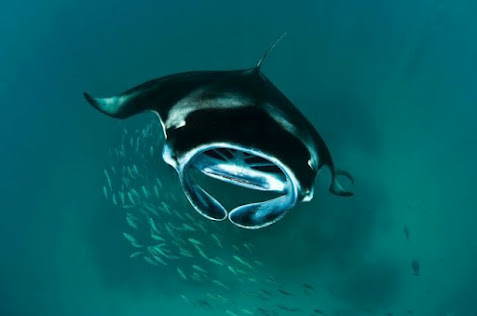 By doing so, you are sure to live another day actually to have mastered the trick of confusing the world’s most dangerous animal in the ocean due to its poor visual mechanism in close quarters underwater. If you have a dive buddy - which you should have- holding him/her gives the beast the impression that you are bigger than the shark. Remain calm and remember a panicked resurface could give you the bends and kill you. Make sure you have someone to watch you back if you are in a group at any time while underwater. The bigger the number the easier the shark gets scared and ventures into new territories to look for its food but don’t make a mistake resurfacing with a lot of splashing of water as this mean another chance for the shark to use all its animal instincts to attack once again. Sharks and diving have always fascinated people despite sharks being the most dangerous animals in many of the beautiful beaches found in many coasts of Africa. Sharm el-Sheikh has also become a favorite spot for scuba divers from around the world as people might not have given the thought of Egypt as one of the most important amazing Deep Sea Shark diving, Shark Cage Diving, Scuba diving and water sports location in Africa and the world as well despite its historical location with the famous pyramids being the most famous attraction. Being situated near the Red Sea, it provides some of the most stunning underwater scenery and warm water making this an ideal place to dive due to its diverse shark population.There is great scope for scientific tourism with diversity in marine life species; 250 different coral reefs and 1000 species of fish. 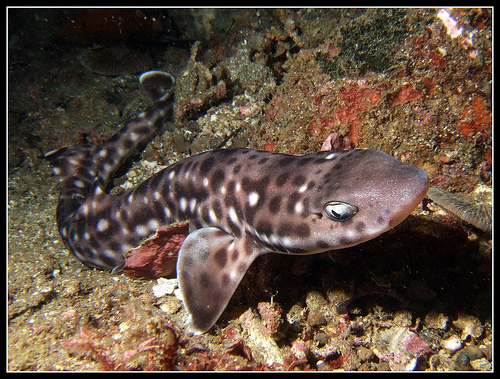 Around this area, you can find hammerheads, black tip reef sharks, grey reef sharks, silky sharks and more. Visitors to Sharm el-Sheikh can experience a variety of water and activities. Beach seekers find many activities such as diving, snorkelling, windsurfing, kitesurfing, para-sailing, boating, and canoeing. One of the greatest shark attraction ever recorded in the United States is The White Shark Café which is a remote mid-Pacific Ocean area noted as a winter and spring habitat of otherwise coastal great white sharks. The area, halfway between Baja California and Hawaii, received its unofficial name in 2002 from researchers at the Monterey Bay Aquarium Research Institute who were studying the great white shark species using satellite tracking tags Southern California is a great place for new, casual shark divers. 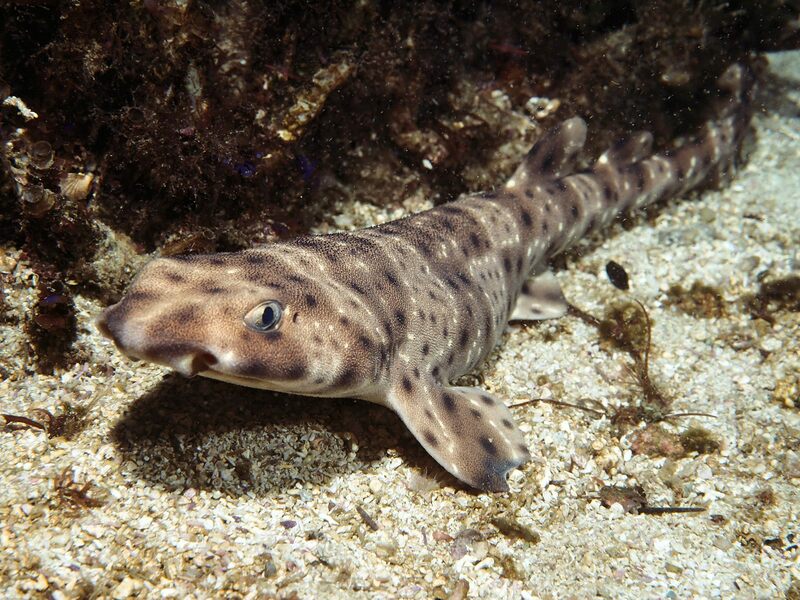 Divers can take a cruise out on the water, usually around San Diego and they'll be dropped off in areas where blue sharks, horn shark, and Pacific angel sharks reside. The beautiful amazing waters off the Channel Islands are also an excellent travel destination and location to explore shipwrecks, caves and other wildlife. The beautiful shark island destination is no other than the the Marshall Islands where the government created the world's largest shark sanctuary, covering about two million sq km (750,000 sq miles) of ocean. The Pacific republic has ban trade in shark products and commercial shark fishing throughout its waters and hence tourism, including diving, is a staple of the Marshall Islands archipelago, which is home to just 68,000 people. Sharks and their near relatives such as rays are seriously threatened by issues such as habitat loss and fishing.This place was created as a safe haven for sharks to stop the practice of shark finning, or removing the sharks' fins and discarding the body. This is the first shark sanctuary in the world. Commercial fishing isn't allowed here, but shark diving is encouraged as it is a better way to boost tourism. Palau gives divers the opportunity to get close to whale sharks, tiger sharks, hammerheads, oceanic white tips, silver sharks, bull and silky sharks. Gansbaai (Afrikaans: "bay of geese," sometimes referred to as Gans Bay) is a fishing village, located near Cape Town at the tip of South Africa, since 1995 has been cage diving with Great White sharks and is known for its dense population of beautiful dangerous worlds top ten most dangerous Great white sharks. In fact, it is called The World's Great White Shark Capital. The land is surrounded by seals which attract the sharp-toothed predators. Shark dives take place in an area known as Shark Alley. 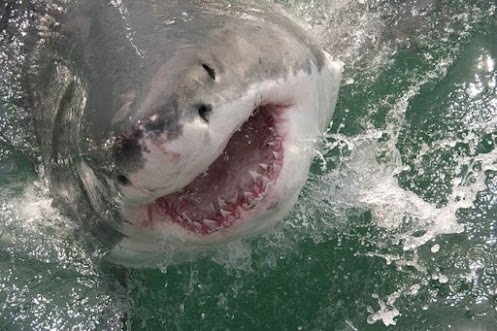 It is said that after Kruger National Park, the Great White sharks attract some of the highest number of tourist to South Africa for any singular activity. 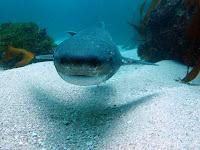 Another beautiful shark island travel destination which is excellent, and less crowded shark diving spot in South Africa is also False Bay. 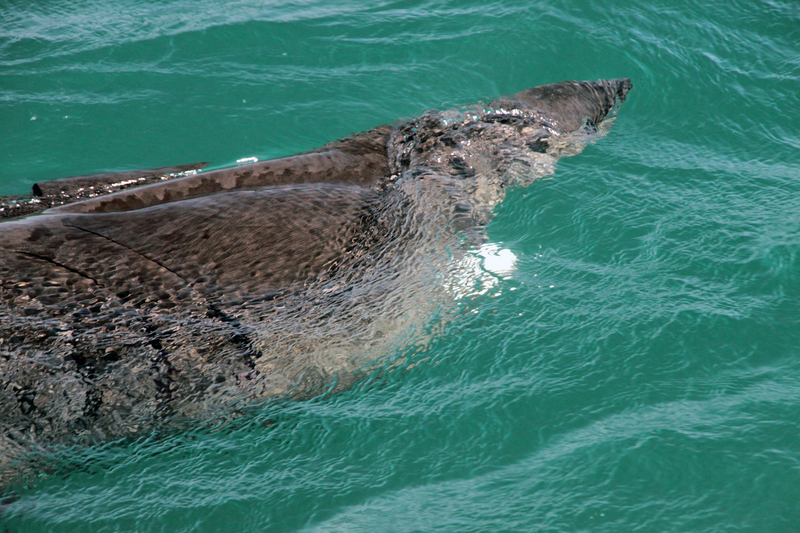 The Southern Right Whale can be seen in large numbers, especially from the rocky shores of De Kelders on Walker Bay. This is also the site of an old whaling station. The lookout platform and the steps leading to it are still standing. Its amazing to note that whales are endangered animals and are protected by law in South Africa and the descendants of the whalers are now the skippers on the boats that take tourists to these beautiful travel destination out for boat-based whale watching in South Africa.In the same vicinity just off Shark Alley, you will find an abundance of seals, being the hot spot restaurant of the great whites, not to mention the Penguin colony of Dyer Island. Do you know what is so important about the Bahamas? its not just the surf and tun you find but with all the beauty of the vast ocean, sharks, turtles, seals and many other deep sea creatures are just some of the most amazing things that make the Bahamas a travel destination list of a life time. The Bahamas are a terrific Shark travel tourism destination and location for shark divers at all levels of experience who come to the Bahamas as its just one of the locations in the world which is loved for its great adventure safaris in the deep oceans with all the deep sea creatures as well as this Shark travel tourism destination place has the greatest variety of shark species. First-time divers can dive with 30 Caribbean reef sharks at a time in New Providence while the braver deep sea divers or more experienced divers can go to other deep sea shark destination such as Tiger Beach off Grand Bahama to get up close with dangerous tiger sharks. The amazing shark species range from Great whites to some of the most wonderful tiniest beautiful shark species found on earth. Some Shark travel tourism destination tours allow divers and swimmers to dive with these dangerous sharks and the harmless sharks without using a cage, while others, like those with tiger sharks, require cages. Thanks for your great concern about sharks. Like any other dangerous animal, sharks are big bish and when you come across them, you just need to know how to react with sharks and that might just save you from any dangerous sharks which might be nearby. Shark movies are there to show you the great reserch which has been done about sharks and all the initiatives taken to conserve these deep sea creatures as well. Sharks and shark attacks are just part of what is the natural habitat of sharks. People all over the world swim in the homes of sharks, people play in the corridors of sharks and people allover the world celebrate good times in the shark neighborhood in many of the beautiful beaches. 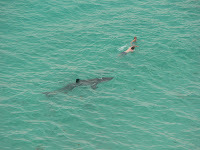 How in the world don't you expect at least to be visited by these friendly neighbors while you are out there swimming. Just expect to be part of their menu if you are not careful. Just be on the look out for these kings of the ocean. Love what this site is trying to do. However; I advise you have an English major look over the spelling and grammar on the entire page. Lots of people do not take a site seriously if information jumps around a lot. Also I would add in your name and anything that qualifies you as a knowledgeable person on sharks. That way people know everything is coming from a credible source instead of being an opinion with facts found on the internet. Some interesting parts of this video about sharks that i've just watched, http://youtu.be/oC4s9Pi09uo i think i'll just try to stay away from sharks as much as i can!